This beautiful pendant is Spectralite. 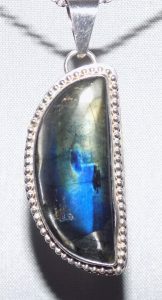 Spectralite is very similar to Labradorite, but it displays a wider range of colors of the rainbow than Labradorite. The stone is wrapped in a Sterling Silver bezel. $86.00 including free shipping within the US. 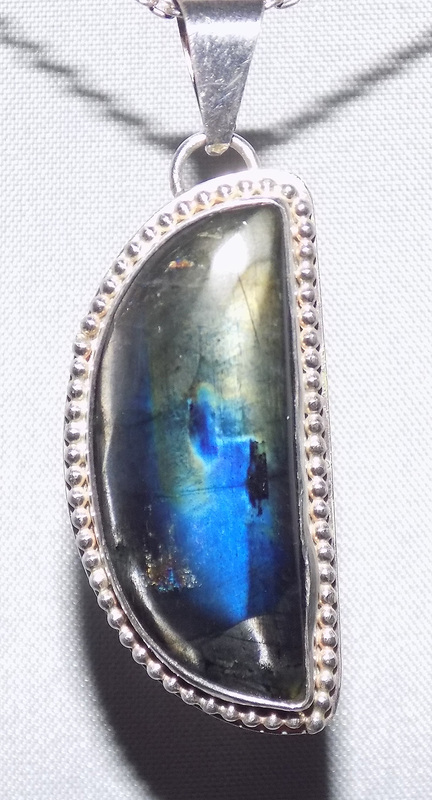 This striking Spectralite and Sterling Silver pendant is approximately 1 5/8″ tall, including bail, and 5/8″ wide. The necklace includes an 18″ Sterling Silver Chain.